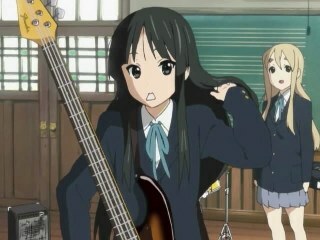 Zharth's Forum • View topic - K-On! When I first started seeing articles popping up on 3kon about K-On!, I ignored them because of the less-than-striking character designs ("thickbrows" on a "long blonde" character? 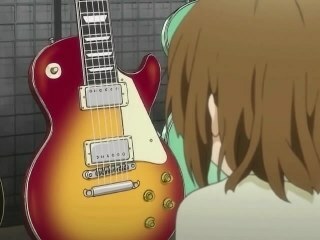 ), but as soon as talk of guitars permeated my consciousness, I decided to give it a closer look. 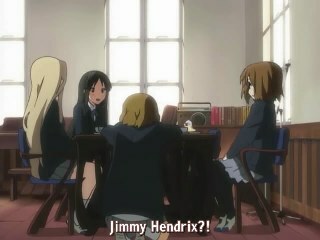 Turns out it's a series about a group of high school girls trying to form a rock band! That's right up my alley - even more so than Bamboo Blade's all-girl kendo team! 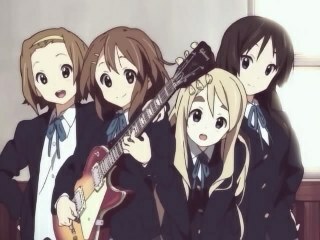 So, two high school firstyears, Ritsu (drums) and Mio (bass), join the empty "light music club" - though despite the "light" part, their ambition is to start a rock band. 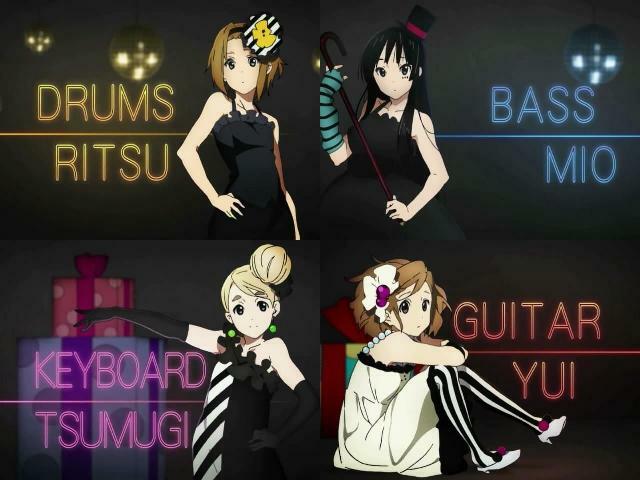 Rich blonde Tsumugi joins the group as an accomplished keyboard player. 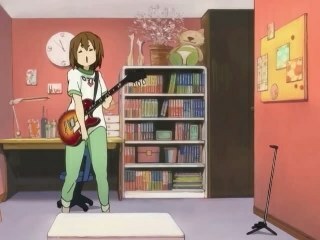 All they need is a guitarist to round out the band, but they end up with the clumsy, lazy Yui, who's never played an instrument in her life (except for the castanets). 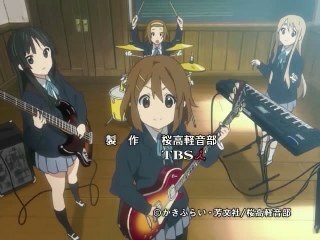 But the group encourages her to learn guitar so that they can be a band. 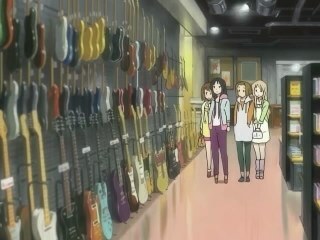 They go out and buy a guitar, she learns her first chords - this series is like my life, except with girls and moe! I'm in love with it. And the ending theme is beautiful. "They say there's only two types of rock guitarists. Those who are Jeff Beck, and those who aren't." 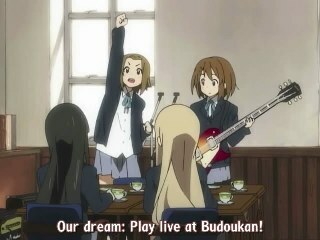 Seriously, when is the last time you've seen an anime series that references Budokan? "I struck poses with it in front of the mirror and took pictures, and slept with it!" Definitely a show to watch! 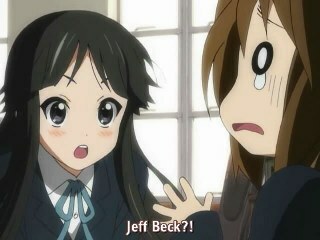 I'm pretty sure that the series "Beck" mentioned Jeff Beck as well. I wouldn't be surprised if he showed up somewhere in 20th Century Boys, since there are a lot of rock references there too. 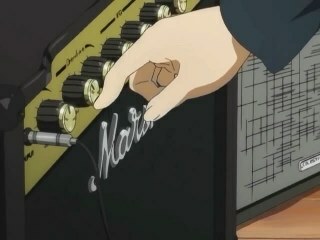 Allow me to briefly describe a scene in the "final" episode of K-ON!, recently aired - episode 12 (there's a point to this). 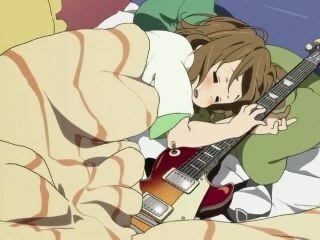 With the school concert coming up, guitarist Yui comes down with a nasty cold. 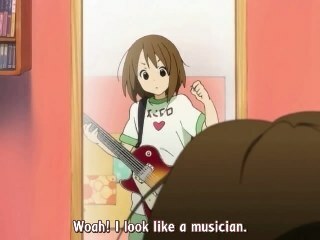 In a humorous scene, Yui's younger sister Ui shows up at after school practice, disguised as Yui (she completely had me fooled by the way). But when she addresses the other members of the band, her polite speech gives herself away. 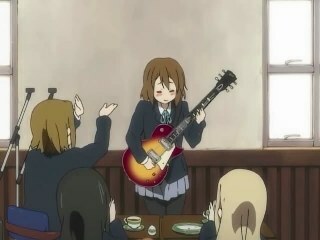 In a pivotal moment, second guitarist (and freshman) Azusa asks "Yui" to call her by the usual nickname she uses for her (which is "Azu-nyan", which comes from her donning some nekomimi back when she joined the club). 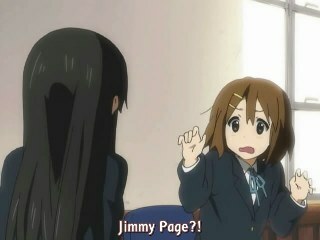 Obviously the impostor-Yui doesn't know what the real Yui's nickname for Azusa is, so she goes out on a limb and guesses "Azusa nigou" (which is translated as Azusa #2), thus giving up the charade. Now, when I heard that, I was beside myself, because I couldn't believe they were referencing a song ("Azusa nigou") that I had gone to painstaking lengths to research and locate many years ago, thanks to its inclusion in a single episode of Sailor Moon - when Yuuichirou (I believe his name is Chad in the English version), the guy that stays at Rei's shrine, gets caught up in a misunderstanding and almost leaves the shrine for good. It was in the third season, and I believe the episode number is 99. I had it on tape and listened to that song over and over until I could find out what it was and get a copy of it. The mentioned scene, from the English version of Sailor Moon. The song, in a live performance. The titular "Azusa nigou" in the song refers to a train, I believe. Don't talk about getting it. Get it! Then you can talk about it. I'll start the download when I get home. Feel like checking bakabt and seeing if it's even batched there? Feel like checking bakabt and seeing if it's even batched there? My browsing privileges are limited. I had no qualms with Chihiro. Limited? I thought you had an account. The accounts are all grandfathered in from boxtorrents. Oops as in "My account wasn't..." or as in "I didn't know that"?